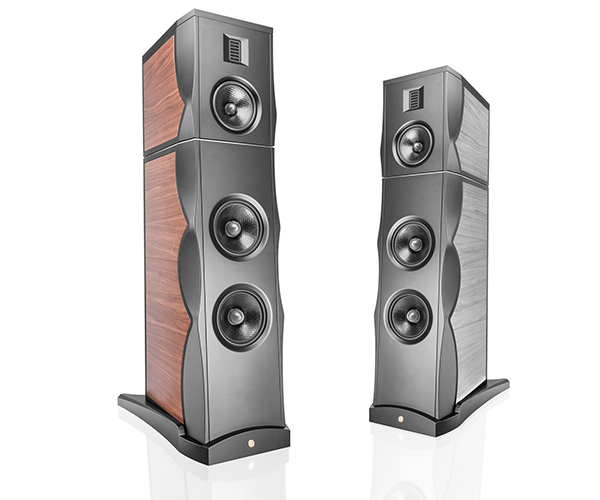 Gold Note – the Italian High-End manufacturer based in Firenze, Italy has just introduced the XT-7, a new full-range, 3 way speaker with anti-turbulence bass reflex and ribbon tweeter available in Black Glossy, White Glossy, Italian Walnut or Grey Maple. With a distinctive curved design based on a reinforced chassis in wooden multilayer panels to control resonances and sound, XT-7 offers state-of-the-art solutions: high quality crossover boards with Mundorf and Clarity components and custom drivers developed with SEAS in ultra-stiff woven polypropylene. 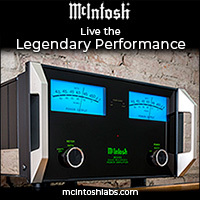 The separated cabinets for bass and mid/highs enhance perfect tuning: the bass drivers cabinet side is vented while the mid/highs is perfectly sealed to reduce internal reflections. Weighing about 50kg each, these massive speakers are completed by wooden swallow tailed stands that features adjustable spikes to guarantees stability. 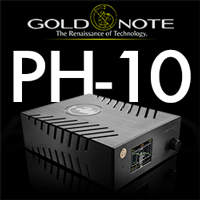 Gold Note has recently poured all the technical knowledge gained in over 20 years of OEM collaborations worldwide into the new lines of speakers, created to marry perfectly appearance and substance and provide a fulfilling audio experience. Garlo Certini, Head of Acoustics, developed a deluxe crossover with state-of-the-art components provided by Mundorf and Clarity. The passive Crossover Low-High Dual-Slope cuts at 280Hz & 3000Hz and features a resistive design to enable ultra-linear load that support the work of the amplifiers minimising the stress on power supplies even at a nominal impedance of 4Ω. 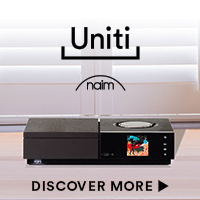 The boards are made of thick audio-grade and anti-resonance glass fibre with 70uM gold plated conductors and power a sophisticated triple crossover network and a summing midrange multi-slope design to perfectly integrate the drivers of the array. Midranges and Woofers ultra-linear drivers are developed with SEAS and enhanced with proprietary metal chassis produced by MIM [Metal Injection Molding], and refined with radial reinforced low loss rubber surrounds, custom copper phaser and heavy copper rings. All this technical features are matched by the impeccable finishes and the quality materials used thanks to the skill of one of the most talented Italian carpenters. 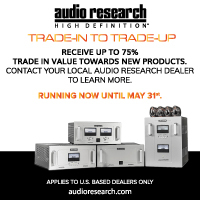 Next News Item: Trade Up Program at Audio Research!